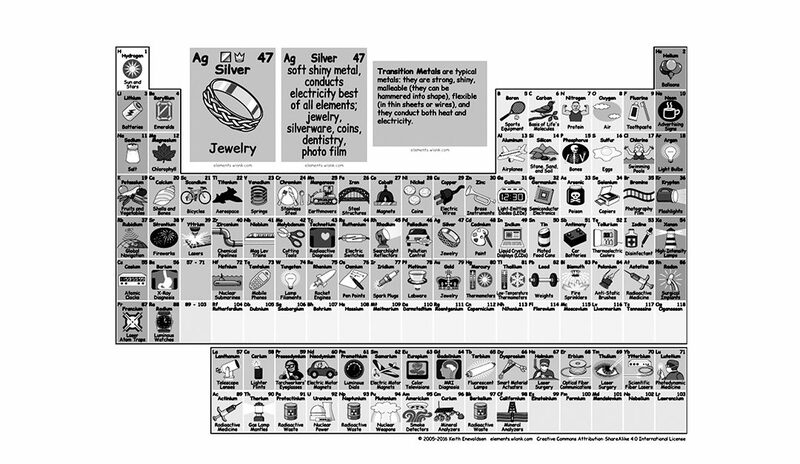 Keith Enevoldsen created an Interactive Periodic Table of Elements. As you might expect, the table shows the name, symbol, and atomic number of each element. But even better, it illustrates the main way in which we use, or come into contact with, each element in everyday life.